Many of the above ideas can be simple DIYs. Adding some casters or screws and brackets are easy enough projects to do over a weekend. 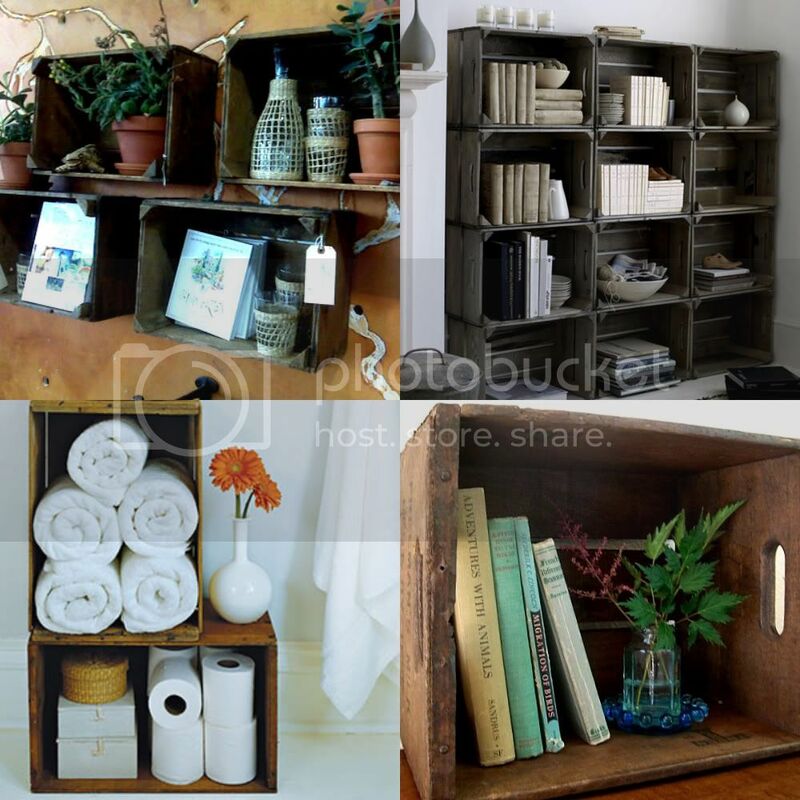 Here is a tutorial at ohdeedoh so you can make your own vintage wooden shelving unit, or like the above picture, just stack and fill. I love the stacked shelf unit, and I was also thinking you could make fabric liners and use the crates as storage in the top of your closet for sweaters and a few under the coffee table for blankets or magazines. How would YOU use them? PS I have been really busy with school, it has been stressing me out and I've been in a creative rut. Not having time to make anything or enjoy the things I love is depressing, so its feels good to be getting back at it. Over the next few weeks I'll do my best to post more regularly when school work permits! Depending on how hight they are, I'd probably use them as under-bed storage. 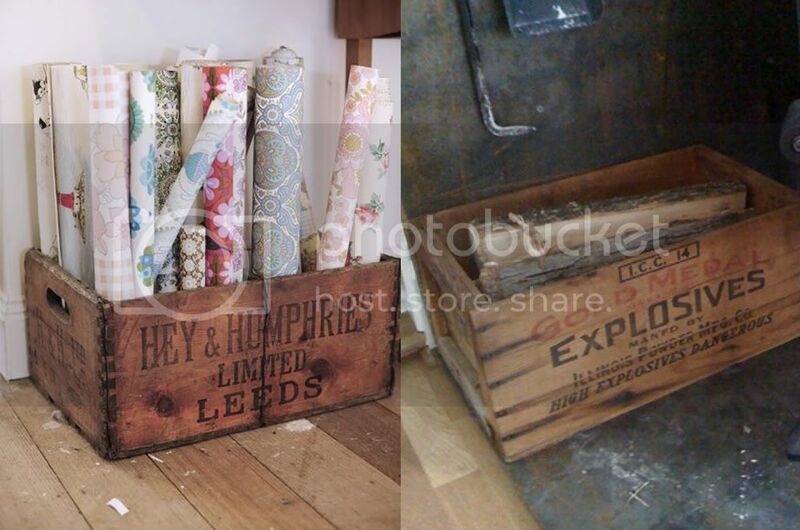 I currently use carton boxes for that but wooden crates would just be so much prettier. I do like the shelving idea, too. Of course I'd want all the crates to be of the same size for that. I love the under the bed storage idea, especially if you had enough clearance to put casters on the bottom for easy access. Great idea! Great idea, the boxes are really neat, but are they hard to find?? I will have to be on the lookout now.